50% off the $1200 Core Charge! 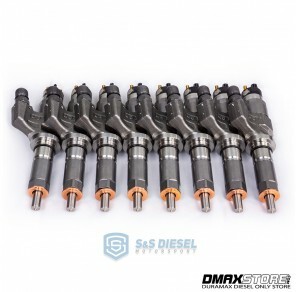 S&S Diesel Motorsport, the leaders in common-rail diesel injection, are set to revolutionize the LB7 Duramax aftermarket with their new SAC00™ fuel injectors. This is an industry first and the SAC00™ injectors are a game-changer for LB7 Duramax owners who want increased durability without an increase in fueling. 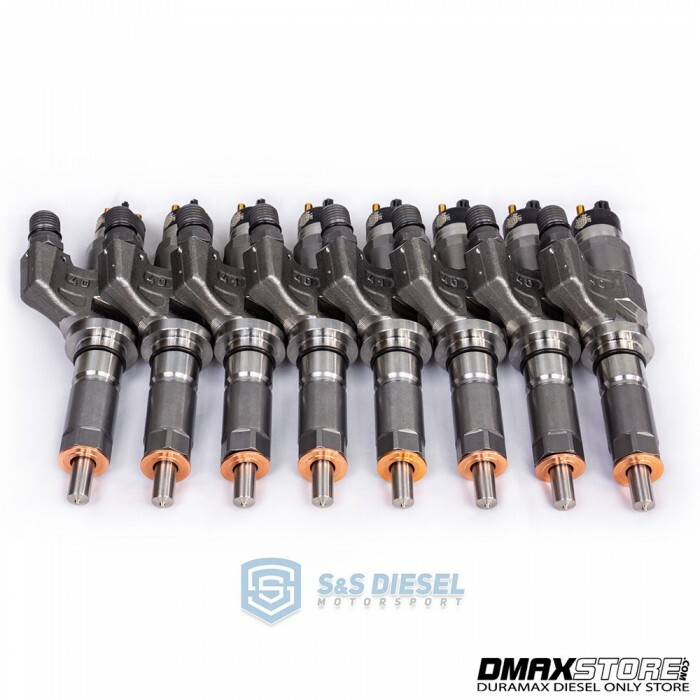 S&S has teamed up directly with Bosch to develop a stock-flowing LB7 SAC nozzle to replace the obsolete VCO nozzle that is currently used on stock LB7 Duramax fuel injectors. 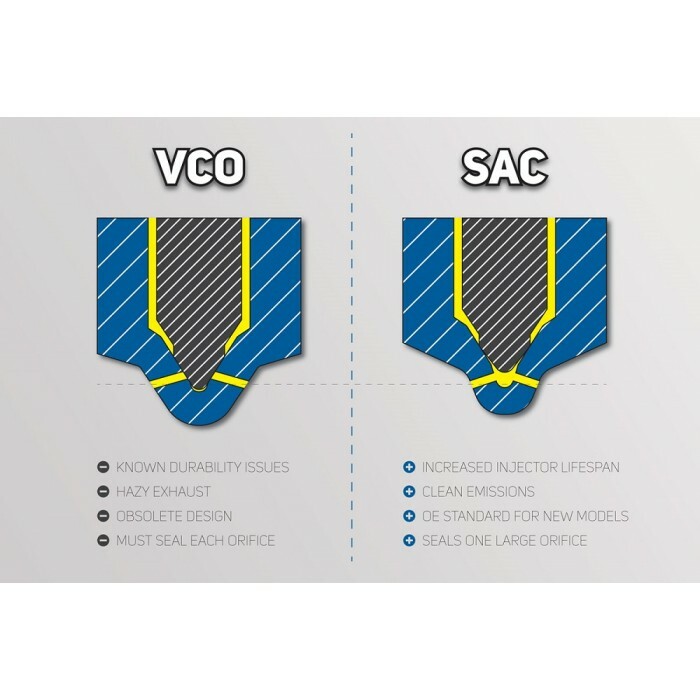 The end result is an emissions-friendly, direct replacement SAC00™ injector that will outlast the original equipment by far. SAC00™ are exclusive to S&S, so LB7-equipped truck owners can take comfort in knowing that every SAC00™ LB7 Duramax injector is a genuine S&S Diesel Motorsport product. The LB7 Duramax is a great engine, yet the stock VCO injectors are notorious for having a short lifespan. 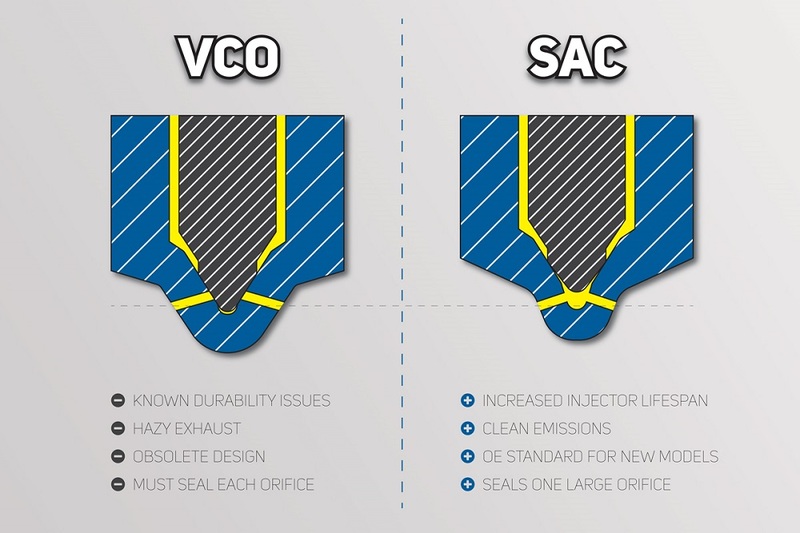 SAC00™ injectors will make the dreaded 50,000-mile LB7 injector haze a thing of the past. 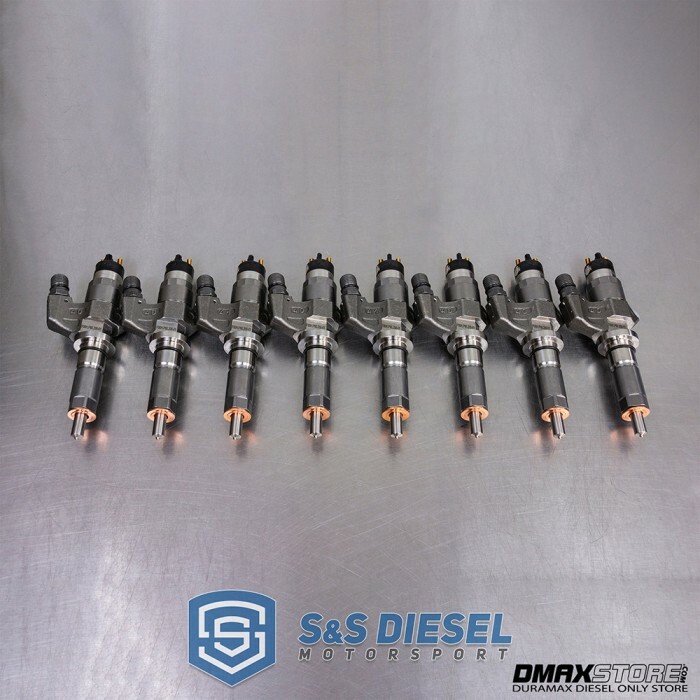 8x S&S LB7 SAC00 Type Injectors. Available Brand New or Remanufactured. All S&S injectors are calibrated on genuine Bosch equipment in actual conditions. These are not just a run of the mill aftermarket nozzle thrown on an abrasive hone machine and put in box. S&S Diesel Motorsport will go the extra step to provide the up most quality which will equate to a better, smoother and more efficient running engine. Once the nozzles are opened up to the desired flow percentage, then the injector is reassembled and the set is balanced to within +/- 5%. 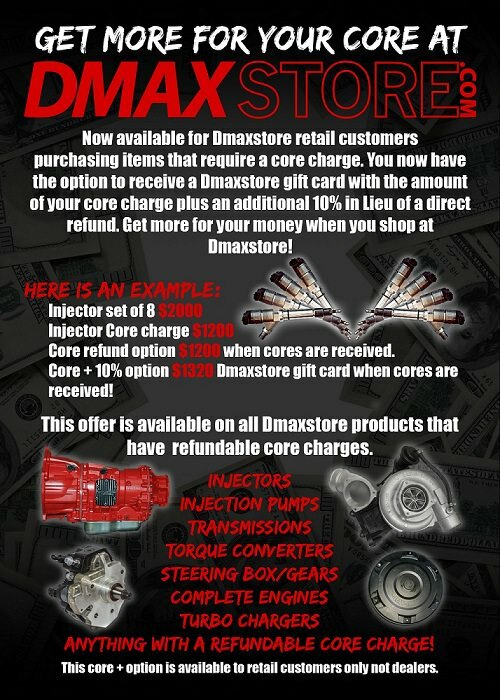 If you choose the Core + 10% option on this product, you will receive an additional $60 on top of the $600 core refund for a $660 Dmaxstore gift card (once core refund is processed). Please contact us directly at [email protected] for more information on this option.